Coco is I-Think's logistics superhero - she designs the systems to make I-Think's on the ground work run smoothly and delightfully. Coco is a sociolinguist who's passionate about research in language acquisition and pedagogy, and nurtures a lifelong interest in student affairs and theatre. She reads feminist sci fi, goes to theatre, cook delicious food, and plays board games in her free time. Coco is curious about how we can best use I-Think to power social justice initiatives in schools. She also wants to know how to adjust the brakes on her bike. As workshop coordinator, Margaryta assists I-Think in workshop coordination and logistics. 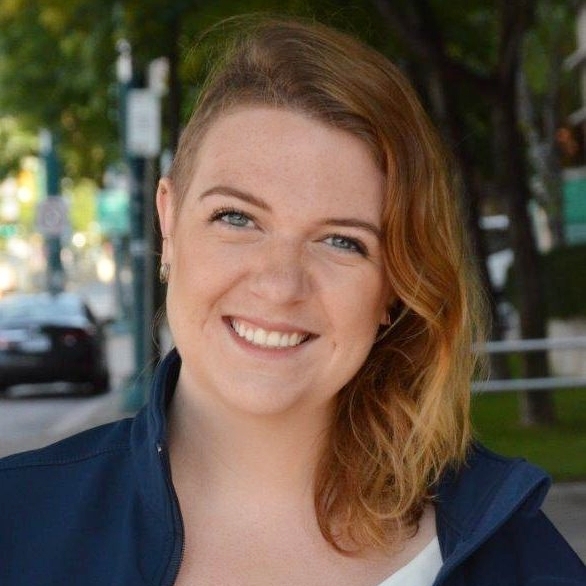 Following a summer internship at I-Think in 2016, Margaryta continues her journey in innovation by working at the University of Toronto's Innovation Hub. She is in her second year of UofT's Journalism Program. In her "free" time, Margaryta recharges and takes care of her two hairless rats. She is curious about how post-secondary institutions can reimagine work-integrated learning experiences for students to ensure that they are accessible and valuable. Mia is the storyteller and communications designer at I-Think. She collaborates with Josie and Nogah to craft narratives that capture hearts and minds. When she's not working on the I-Think website, you can find Mia playing the piano, exploring the city, or biking between classes and meetings on the UofT St. George campus. She is currently in her first year studying Poli Sci and History, after taking a gap year to work and travel around Asia. Mia is curious about the intersections between empathy, education, and well-being, and the bridge between activist and innovator spaces.